Glutathione is produced in the human liver and plays a key role in intermediary metabolism, immune response and health. It is also known as gamma-Glutamylcysteineglycine and GHS. Glutathione is a small molecule made up of three amino acids: L-cysteine, L-glutamic acid, and glycine. It is a potent antioxidant and works in the liver to protect the body from harmful substances. It also functions as a precursor to glutathione peroxidase, a key antioxidant enzyme, which protects against lipid peroxidation (fats turning rancid). Glutatione is a a monomer that is a single molecule of the protein that is sometimes called reduced glutathione. The monomer is the active form of glutathione. Glutathione, in purified extracted form, is a white powder that is soluble in water and in alcohol. It is found naturally in many fruits, vegetables, and meats. However, absorption rates of glutathione from food sources in the human gastrointestinal tract are low. Glutathione must be generated within the cell from its precursors before it can work effectively in the body. The presence of glutathione is required to maintain the normal function of the immune system. It is known to play a critical role in the multiplication of lymphocytes (the cells that mediate specific immunity) which occurs in the development of an effective immune response. The cells of the immune system produce many oxiradicals as a result of their normal functioning, resulting in a need for higher concentrations of antioxidants than most cells. Glutathione plays a crucial role in fulfilling this requirement. Glutathione is a major antioxidant highly active in human lungs and many other organ systems and tissues. It has many reported uses. 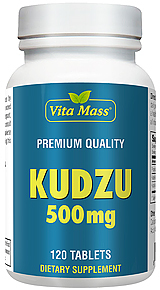 It has a critical role in protecting cells from oxidative stress and maintaining the immune system. Higher blood levels of glutathione have been associated with better health in elderly people, but the exact association between glutathione and the ageing process has not been determined.